Wondering what the differences are between cavern diving and full cave diving? In this article we explain the 5 most important differences between these 2 disciplines in the scuba sphere. Looking for more information about cenote diving? In this article we explain where to find 5 of the best caverns to dive the Yucatan Peninsula in Mexico and how to get there, and what you can expect to see. Would you like to scuba dive cenote Angelita? This article explains more about how to get there with who to dive it and why cenote Angelita so special. Cenote diving is getting more and more populair. Although some cenotes are bussy with divers and snorkelers you will still find hidden gems in the jungle. Cenote Diving is one of the main scuba diving attraction in Playa del Carmen, Mexico and surrounding areas. 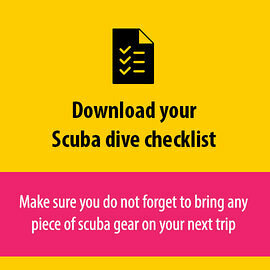 Explore these ancient cenotes but come prepared. Diving cenotes in Mexico is on many bucketlists of scuba divers world wide. Diving these ancient sinkholes is a amazing experience. Scuba Diving Cenotes in Mexico is a must do for many divers. In this guide we share our perception on some of the lesser known cenotes in Mexico.